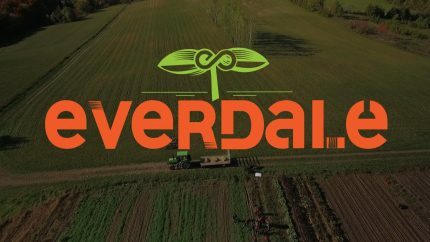 Everdale Farm in Hillsburgh, Ontario is now hiring for 3 positions for the 2019 season. The successful applicant will be trained to help grow food at Everdale’s organic vegetable farm. No previous gardening or farming experience required. The Farm Assistant position consists of two different position periods, May 6 – June 28, 2019, and July 1 – August 23, 2019. The successful applicant will be trained to help host and facilitate educational school groups that visit Everdale Farm. They will be supervised by Everdale’s Farm School Coordinator. This position will take place May 6 – June 28, 2019. The successful applicant will be trained to be a Camp Counsellor for Everdale’s Farm Camp. They will be supervised by Everdale’s Farm Camp Coordinator. This position will take place July 8 – August 30, 2019. To be considered, submit an application including a resume, letter of interest, and three references to karen@everdale.org by April 26th at 5 p.m.